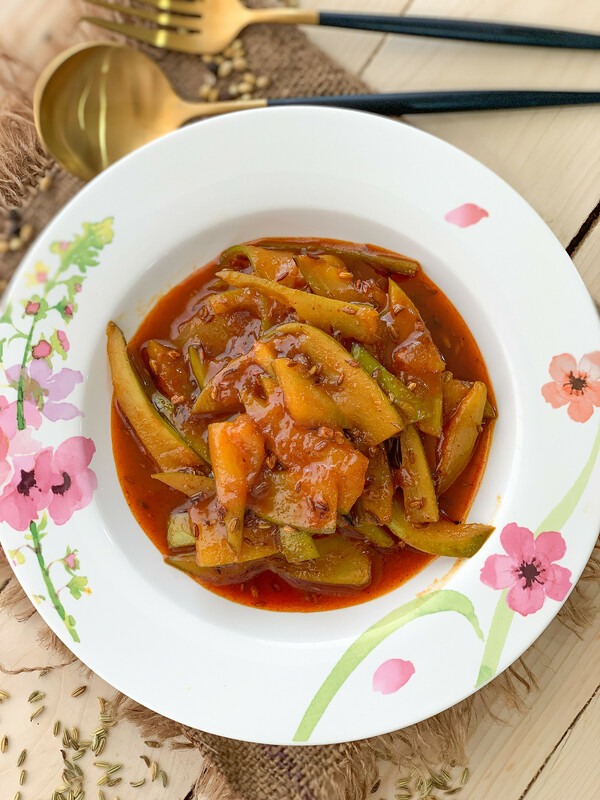 The Aam Ki Launji Pickle Recipe is a simple fingerlicking pickle made from fresh raw mangoes combined with jaggery making it a perfect accompaniment with Bhakri, Thepla, Puri and even Stuffed Parathas. 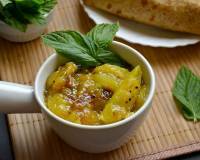 The Aam Ki Launji Pickle Recipe is a simple fingerlicking pickle made from fresh raw mangoes. 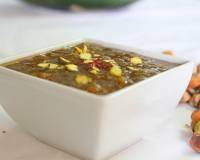 The addition of methi seeds along with the hing, jaggery and other spices makes this dish stand out with perfection. 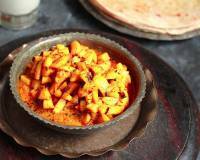 Serve the Aam Ki Launji Pickle Recipe with Tawa Paratha Recipe - Plain Paratha and a cup of Adrak Chai Recipe - Indian Style Ginger Tea for a complete weekday breakfast. 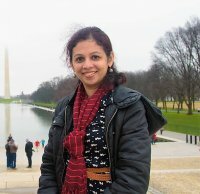 To begin making Aam Ki Launji Pickle Recipe, wash and wipe the mango, cut into wedges and set aside. Heat a pan with oil on medium heat, to this add the cumin seeds, fenugreek seeds, fennel seeds and allow them to sizzle. 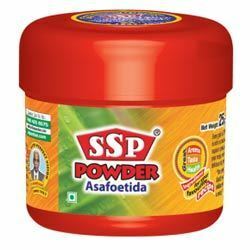 To this add hing and turmeric powder. Now add the freshly cut raw mango wedges and give it a good stir. 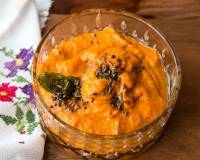 To this mango mixture, add about three fourth cup of water, salt, black salt and red chilli powder. Mix thoroughly until the mixture is well combined. 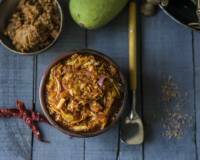 Cover and cook the mangoes for about 10 minutes on medium flame until it has softened. Sometimes it will take a little longer based on how raw the mangoes are. Open the lid, add the jaggery and garam masala. Stir to combine. 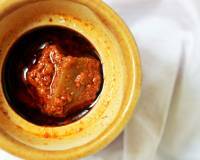 Cook the A,, Ki Launji until the jaggery has completely melted and the mixture has thickened. 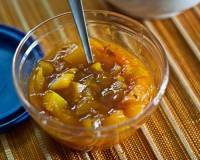 Switch off the flame and allow the Aam Ki Launji Pickle to come to room temperature. 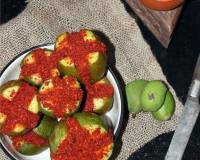 Refrigerate the Aam Ki Launji Pickle Recipe in a glass bottle for about 2 to 3 weeks and use as required.